One of the most stressful and difficult obstacles to getting hired as a felon is passing the interview at a prospective job. Now, this is usually very hard pretty much for any individual, but its MUCH more challenging when you know your felony charges will be brought up. Here is a detailed guide on how to prepare and make a great impression on the hiring manager, so in the end you get that job offer. -Skills (list any skills you have. For example if you speak to languages, write down both of them). You can get help with writing or editing a resume at a local career center or a public library (the have volunteer career coaches that come to help people with this). When you bring a resume to a job interview, it makes you stand out as a caring professional and someone who really wants the job. One of the most important things you can do to get really good and comfortable at interviewing is practice! Most prospective employers ask a pretty standard set of questions, so the more times you practice your answers, the better and more confident you will sound during the interview. You can either have a friend or family member do practice runs with you. 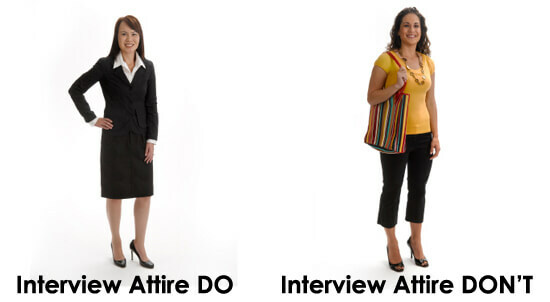 It may even pay to dress up for the part so you will feel more comfortable when you do go in for an interview. Have them sit across a table from you and start asking questions about anything and everything from your crime to your work history. Just being able to open up and talk about these topics will help you get ready. 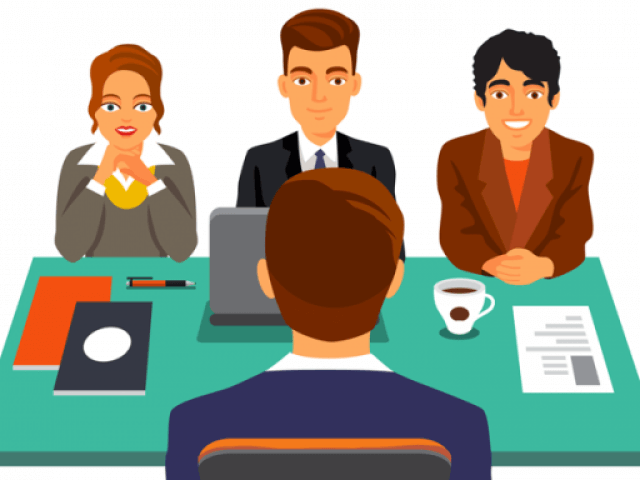 Another option is to go a local career center, where a professional career coach can help you polish your interviewing skills and teach you how to answer unexpected and difficult questions. Practicing and being interviewed by others will really help you reduce your stress and anxiety before an interview. The last thing you want to do is be extremely nervous, fall into stupor and silence when you don’t know what to say, or say something that is way off. By practicing you will get a better idea of what the employer wants to hear and you will learn a pre-programed response in your brain that will lead to more confidence. That confidence will land you the job. Another reason why practicing is so important is because it will really make you feel as though you are making progress towards your goal of getting a job. This alone will make you feel better about yourself and your situation. Just knowing that you have what it takes to get that job will really help you keep your head up and get you excited for your future. Now no one can predict what a hiring manager may ask you at the interview, but there are some questions that come up very often. We include them here as well as sample answers that based on our experience have helped felons get jobs in the past. Why did you leave job _____? Explain that even though you loved the company and you had such a great time working for them, another job opportunity was a better long-term option. Perhaps a shorter drive and better pay. Maybe it was closer to someone you loved and need you to take care of them. Always make it a positive reason and never trash talk previous employers. A prospective boss DOES NOT want to hear you talk about other employers. It will make you seem like a troublemaker who may cause problems in the future. What job skills do you have? At this time you have a chance to shine and say something very few people say at an interview. We suggest to do this by asking a question of the person interviewing you: “Are you asking for skills other than the ones needed to perform the job, if I am hired?” He/she will almost always say “Yes”. They do this because it gives them an opportunity to form an opinion about you based on what you say. Fortunately, this also gives you an opportunity to stand out. Start talking about how you understand that the company needs to make money, so it can pay its employees. State that you realize that most employees don’t understand this or care, but you DO and because you really want the job, you will reward the company with HARD WORK. Statements like this set you apart because you are presenting yourself as someone who wants to move up and build the company. Not many people want to do this, but you DO because it will give you a paycheck every week. It says you were convicted of a crime. Please explain. By doing this you explained the crime and redirected it in a positive way that will benefit the company. Also, do not be afraid to ask them to check your references. The worst thing you can do is come across as if you are trying to hide something or avoid answering the follow up questions. Be very blunt and straight forward. Sometimes, if you have a really bad crime you may not want to mention the age of the victim. Some people don’t care, others do. Be as honest as you can. Accept the responsibility and move on. Its very important to practice answering this question as many times as you can, so you get your story straight and become comfortable telling it to strangers. This question catches many people off guard and they don’t have a good answer. Try this “Sometimes I pick up the slack for others without saying anything and I can be a bit of a pushover. I am working on becoming more assertive” This way you state a negative that’s also a positive and does not affect the company’s performance. What was it like to work for your supervisor? When asked this question it is important to remember that while you may have not liked previous supervisors it will not leave a good impression if you say your true feelings about this. Instead, it is much better to talk about how great of a team you were together and how much fun it was to be able to see the progress you made together with the company. There are many things you can say here. Again, the key is to keep your answers positive. A good way to say this is “I expect a supervisor to be a team leader. Someone who can gather up all the workers and point us in the right direction to assure that we get our jobs done on time.”. Let’s face it everyone has problems at work. It is unavoidable. The reality is everyone will most likely have a problem at work every now and then. The trick is to let the interviewer know that you have had problems. But, these problems were not caused by you. Maybe you noticed someone who is doing their work in a very unsafe way. Violating the company rules. This then becomes your problem because as an employee it is also your duty to keep yourself and everyone safe. These are the problems the interviewer will want to hear about. They will NEVER want to hear about problems you caused with customers or other employees. So just stick to the topics about how you were scared for others’ safety or something else that’s positive. Who was your best boss and who was the worst. This is a trick question a lot of employers may ask. They want to see if you can explain to them that every one of your bosses were somehow someone you looked up too. If you provide specific examples of the bosses’s good qualities or actions, they will be very impressed! What have you been doing since you got out of prison? Say that you are looking for absolutely anything. This will show that you aren’t greedy and are willing to work. Do you work best by yourself or with a team? This is another trick question. The best way to answer is to say that as a team you may be able to accomplish more, but for smaller tasks you are perfectly capable of handling them by yourself. Explaining how either option is fine with you is the right way to go. Success should always be evaluated on the results of whatever it is you are doing. If you have gained knowledge, completed a project on time or made a difference where you work, then that is success. The best answer is “for as long as possible”. It is cheaper for a company to keep a person on staff then it is to constantly replace them. Just say once you have the job you will stay put because it’s where you want to be in life. Even if it’s at a place like Denny’s. Just explain you picture yourself working there for a very long time. 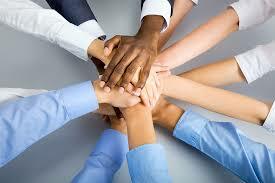 Being able to get along with other is extremely important at any job! Its one of the top qualities employers are looking for. If you can’t get along with people and are constantly bickering you are wasting the company’s time and money. The best thing to say is that you tend to stick to yourself and be as professional as possible to avoid any conflicts or downtime in the workplace. When it comes to getting a job, don’t underestimate the power of a good first impression. This is especially important if you have a felony conviction, because you have to work extra hard to convince others of your worthiness. Coming in looking like you just came out of the dumpster will make them think you do not care about the job and are just doing it to satisfy your parole officer. The way you dress and come across will go along way to present yourself as a mature, honest, and hardworking adult. Whether you are a male or a female you have to be the best dressed and most well mannered person in the room. Be very polite throughout the interview. When you come in and before you leave, shake hands with everyone in the room (both male and female interviewees should do this). Your handshake should be firm, but not overly tough or soft. Thank everyone for the opportunity to present yourself in the beginning and at the end, when questions are wrapping up. Its very important to speak grammatically correct English. If this is a challenge for you, practicing beforehand and having people point out the correct way to say words and expressions will really help you. Avoid using slang words!!! For both males and females it is important to ensure that you have a nice neat hair cut, and clean hands and nails. Women who have long hair should make sure that its neatly brushed or pulled away in a bun. Make sure that the hair doesn’t cover up your face or get into your eyes. Also, don’t fidget with your hair, when you speak. Its best to put on neutral nail polish and trim your nails to regular length. Overly bright colors and nails that are too long make a bad impression. Men should make sure that their nails are trimmed and there is no visible dirt under them. Any facial hair should also be trimmed if you have a mustache/beard, or you should have a clean shave. Make sure that there is no bad odor coming from your body or mouth! This can be an immediate interview killer and you will stand no chance to get this job. Put on strong deodorant right before you go in, brush your teeth and use a mouth wash. Be sure to put enough deodorant just in case you start to sweat if you get nervous, you don’t want there to be a bad smell in the room! Both men and women can use a light perfume or body spray, but it should NOT have a strong smell that people may not like. 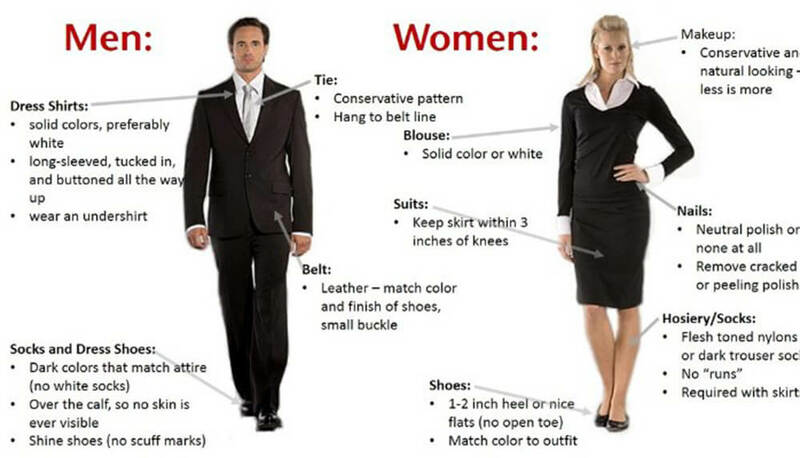 What should be worn to all interviews, both by males and females, is a very CONSERVATIVE outfit. Make sure that your clothes fit you well, not too tight or too baggy. It goes without saying that you clothing should be very clean, stain free and ironed. You goal is to avoid looking casual, careless or lazy. Wear dark color socks Its best to wear a professional suit. not only men are felons, what about PRESENTING YOURSELF FOR A JOB INTERVIEW tips for women please. PRESENTING YOURSELF FOR A JOB INTERVIEW need tips for female felons please? Most websites addressing jobs, degrees, job seeking and interviewing advice for people who have felonies are directed towards men. Women can also have felonies and face just as many if not more obstacles gaining employment. As well, not all of us are physically capable of manual labor or have children to care for and can’t be a truck driver. Where are the sites geared towards helping female felons specifically?